These spooky skeleton prints cling to your floor and will create instant atmosphere for your Halloween display. Create an entire scene with decals for your walls, windows, and floors, each sold separately. 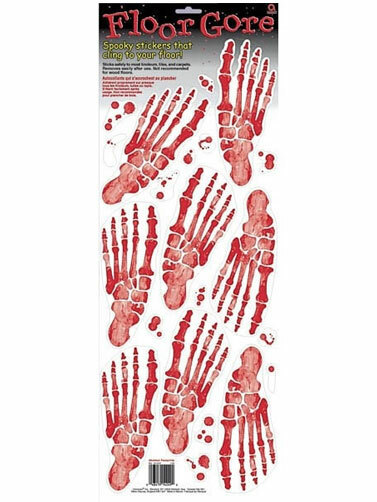 Skeleton Print Floor Cling includes 8 footprints and assorted blood spots on a 24"H x 8.75"W sheet.